Mount Vernon Ohio Farmers Market. Every Saturday morning from May through October, you can join neighbors and friends at the Mount Vernon Farmers Market to do a little shopping for fresh fruits, vegetables and some specialty products. 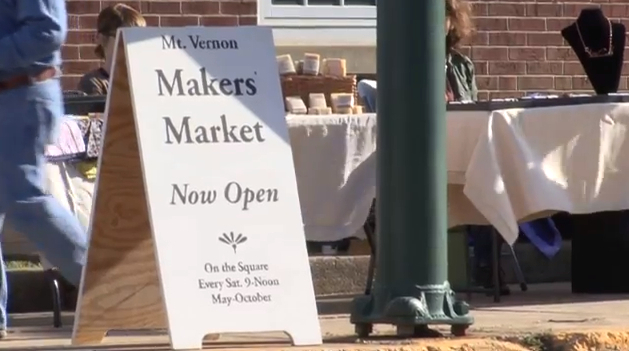 The Mount Vernon Farm Market is located on the Public Square which is at the intersection of Main Street and High Street. 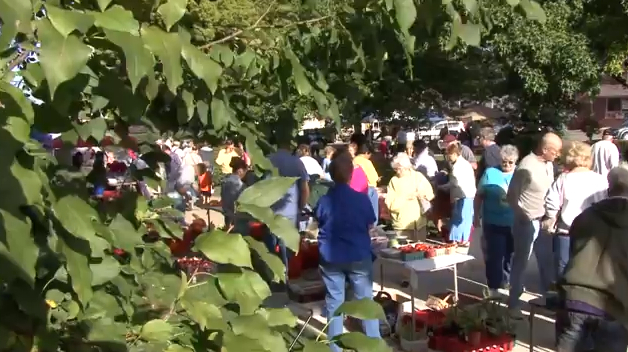 Dozens of local farmers and vendors line the sidewalks of the Public Square offering their goods from 9 a.m. to noon. In the early weeks of the Farmers Market you can look forward to asparagus, bedding, plants, flowers and spring salad greens. As early as mid May you might find hydroponic tomatoes grow in Sparta - just 13 miles from the square. These tomatoes taste AMAZING and they are typically better than anything you can buy in a local grocery store during this time of year. There are a few rules for the farmers and vendors who setup shop for the day at the Mount Vernon Farmers Market. 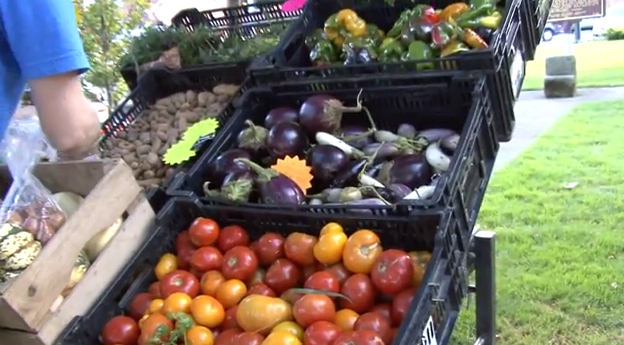 Everything must be grown or produced within 25 miles of the Mount Vernon Public Square and no resellers are allowed. Local fruit such as strawberries, raspberries and of course, apples can be found as they are in season. The Farm Market is not all about fruits and veggies because you can also find local honey, maple syrup, grass-fed cheese, jellies and fresh based breaks, pies and cinnamon rolls. Just writing this article and thinking about all the great fresh food at the Mount Vernon Ohio Farm Market is making me hungry. The 2011 season for the Farmers Market began on May 7th. Something interesting is that vendors are prohibited from selling before the courthouse bell chimes at 9 a.m. on Saturday mornings. Bring the entire family - even your four-legged kids - and taste what Knox County Ohio has to offer. This community feature article on the Mount Vernon Ohio Farmers Market is part of our ongoing series titled "365 Things To Do in Knox County Ohio" by Sam Miller of REMAX Stars Realty. If you would like to view all of our previous features articles be sure to visit 365 Things To Do in Knox County Ohio. Love Knox county! Tks for all your great work.